His statement is as follows: In my next life I intend to return as a novelist, but in this one, lacking the ability to invent characters, I go looking for them in the real world. Hochschild looks at the tensions of modern South Africa through a dramatic prism: the pivotal nineteenth-century Battle of Blood River -- which determined whether the Boers or the Zulus would control that part of the world -- and its contentious commemoration by rival groups 150 years later. All pages are intact, and the cover is intact. For on December 16th, 1838, the Boer leaders made a covenant that if God granted them victory over the Zulus they would not only build a church in commemoration, but would forever keep the day secret. If you like history, this short history of South Africa is a readable one, using the Battle at Blood River to build a fiction-like plot tension. History lies heavily on South Africa, and Adam Hochschild brings to bear a lifetime's familiarity with the country in an eye-opening work that blends history and reportage. 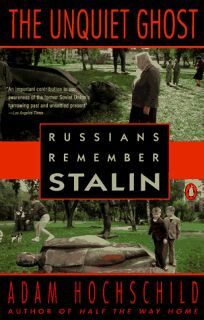 It is an extremely painful book to read; unfortunately, the parallels to America are all too clear. 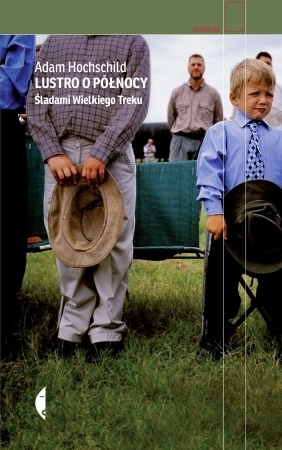 He analyzes the psychology of the Boer history and points out the long-running theme of victimization that justifies so much of their exploitative endeavors in South Africa. To End All Wars: a Story of Protest and Patriotism in the First World War, was published by Macmillan in 2011. The Afrikaaners see themselves under siege by a small black middle-class and an apartheid government inching out reforms. His Bury the Chains: Prophets and Rebels in the Fight to Free an Empire's Slaves, published in 2005, is about the antislavery movement in the British Empire. Things had actually gotten economially worse 10 years later. He later was part of the movement against the , and, after several years as a daily newspaper reporter, worked as a writer and editor for the left-wing. Disclaimer:A copy that has been read, but remains in clean condition. Dust jacket quality is not guaranteed. He tried to get a hold on the history and realizing that it is written in white he makes an effort to find and present the black view point. Interspersed between these climactic developments are thorough histories of the origins of the country which is cloaked in racist inequality, violence, and greed. Hochschild teaches writing at the Graduate School of Journalism at the University of California at Berkeley and has been a Fulbright Lecturer in India. History lies heavily on South Africa, and Adam Hochschild brings to bear a lifetime's familiarity with the country in an eye-opening work that blends history and reportage. But these types of false narratives are what allow hundreds of years of exploitation to flourish. He returned to the 1994 election and for some observations 10 years later. I guess they never are. I guess they never are. The Afrikaaners see themselves under siege by a small black middle-class and an apartheid government inching out reforms. And it's the same type of nonsense I was taught in American public schools about Thanksgiving and the founding of a new nation which, when I was in school, was whitewashed of any accountability for pretty much wiping out entire Native American populations. In his epilogue, Hochschild extends his view to the astonishing political changes that have occurred in the country in recent years -- and the changes yet to be made. A work of vivid reportage and astute political analysis. Things had actually gotten economially worse 10 years later. If there is a special new technique of writing history, I certainly have not discovered it. In the mid-1970s, he was one of the co-founders of Mother Jones. These embittered white of the far right will for a power--and well-armed--lobby against further reforms of government plans of the future. The Boers, as portrayed here, are an unlikable lot. The mass migration culminated with the massacre of indigenous Zulus in the 1838 Battle of Blood River. Although somewhat overtaken by events, Hochschild's new book does offer some fresh insight into the current South African situation. This incisive book offers an unusual window onto a society that remains divided. If you like history, this short history of South Africa is a readable one, using the Battle at Blood River to build a fiction-like plot tension. No, there is no apartheid. He tried to get a hold on the history and realizing that it is written in white he makes an effort to find and present the black view point. The mass migration culminated with the massacre of indigenous Zulus in the 1838 Battle of Blood River. He returned to the 1994 election and for some observations 10 years later. King Leopold's Ghost was a finalist for the National Book Critics Circle Award, as was his recent To End All Wars. By the way, Adam Hochchild is the also the author of King Leopold's Ghost about Belgian King Leopold's treatment of the Congo. He tried to get a hold on the history and realizing that it is written in white he makes an effort to find and present the black view point. 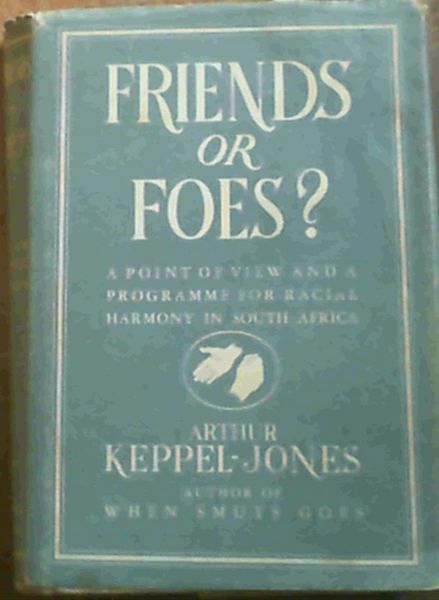 It helps me understand ongoing racial tensions in South Africa today. The spine may show signs of wear. His 2016 follows a dozen characters through that conflict, among them volunteer soldiers and medical workers, journalists who covered the war, and a little-known American oilman who sold Francisco Franco most of the fuel for his military. By the way, Adam Hochchild is the also the author of King Leopold's Ghost about Belgian King Leopold's treatment of the Congo. A longtime lecturer at the Graduate School of Journalism at the , Hochschild has also been a Fulbright Lecturer in India, Regents' Lecturer at the University of California, Santa Cruz and Writer-in-Residence at the Department of History, University of Massachusetts at Amherst. No, there is no apartheid. Hochschild looks at the tensions of modern South Africa through a dramatic prism: the pivotal nineteenth-century Battle of Blood River -- which determined whether the Boers or the Zulus would control that part of the world -- and its contentious commemoration by rival groups 150 years later. He lives in Berkeley, California. 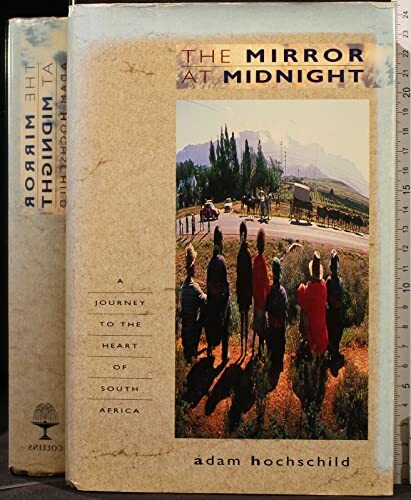 One of the founders of Mother Jones magazine, and author of classic books about slavery and colonialism, Hochschild wrote this in the late 80s—with an excellent 2007 epilogue—just as the cracks in the apartheid system were appearing. These embittered white of the far right will for a power--and well-armed--lobby against further reforms of government plans of the future. Description History lies heavily on South Africa, and Adam Hochschild brings to bear a lifetime's familiarity with the country in an eye-opening work that blends history and reportage.